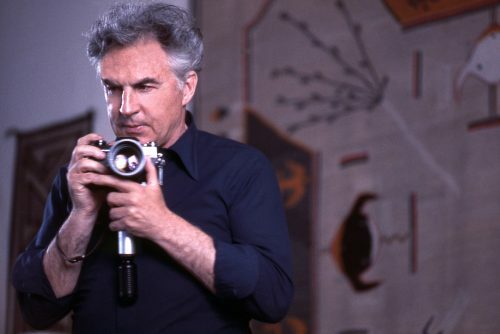 The 1986 award winner, Ernst Haas, passed away in New York City one month prior to the ceremony at which he was to receive the award in Göteborg, on 6 October 1986. On a later occasion, Ernst Haas’ son, Alexander Haas, received the award sum of USD 25,000 on behalf of his father. An exhibit of Ernst Haas’ photographs was displayed at the Röhsska museum in Göteborg during spring 1987. Ernst Haas is one of the foremost contemporary names in color photography. His contribution to black and white photography has long been undervalued but has lately become appreciated anew. Ernst Haas was careful to safeguard his freedom of choice by not allowing himself to be tied down to any one magazine. He chose to go his own way and work at his own pace until the pictorial material reached the standard he demanded of himself. Ernst Haas has formulated visual experiences with the camera and his photographic technique in a new, creative, and particularly personal way.